Well, Doctor, what have we got—a Republic or a Monarchy?” “A Republic, if you can keep it.” ATTRIBUTION:	The response is attributed to BENJAMIN FRANKLIN—at the close of the Constitutional Convention of 1787, when queried as he left Independence Hall on the final day of deliberation—in the notes of Dr. James McHenry, one of Maryland’s delegates to the Convention. Welcome. PECAN Group (People Envisioning a Conservative Nation) was created to address the errant political direction presently being pursued in our country. We are being led astray. Led away from ideals present at our nations birth and toward the establishment of a system of governance unrecognizable to our founders. A system of governance oft-promoted as “progressive change”. This system is not progressive, but it is change. Change that threatens to strip personal freedoms from the many, giving rule to the few. We seek to provide aid and inspiration to the American people. 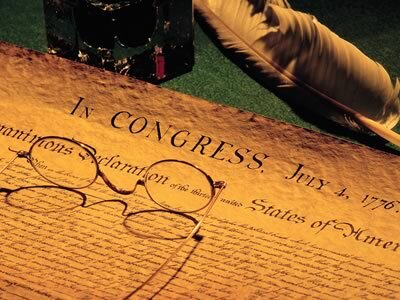 To educate, and inform, to teach the value of keeping the United States of America a Constitutional and Conservative Republic; by providing the documents and historical roots of our nation, along with contemporary commentary, we hope to inform; by providing the back stories of our courageous founders and daring pioneers we hope to inspire. It is our mission to promote the American ideal and to conserve our freedoms in the face of the gathering clouds of opposition to individual freedom; to be a voice calling for the governed to use their consensual powers against any pressing force of tyranny.